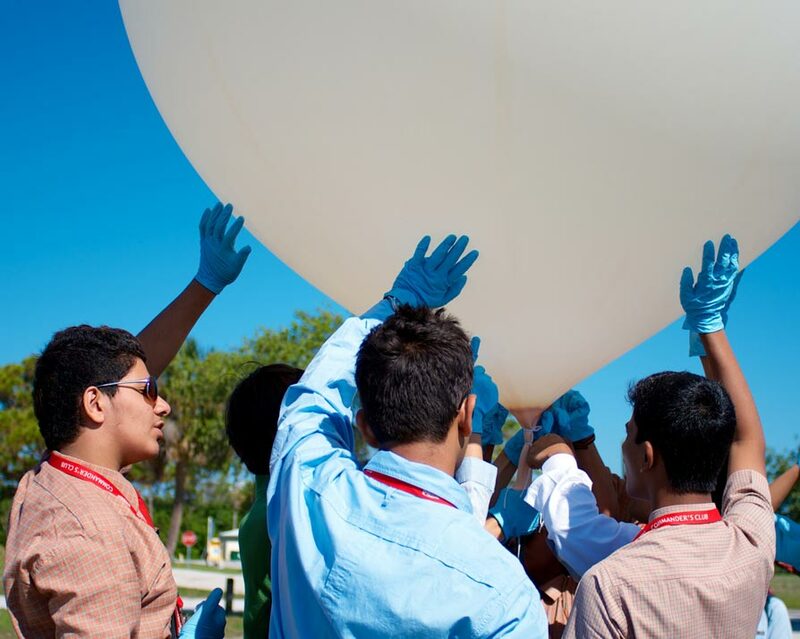 In this program, the group will participate as one large team to successfully launch and retrieve a weather balloon, with a payload that travels up to 100,000 feet. 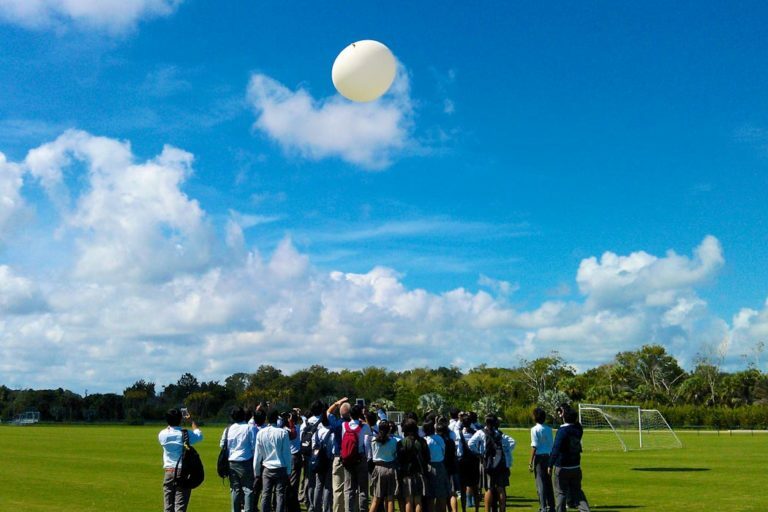 Students will learn about subjects such as meteorology, telemetry and how NASA takes different variables into account to perform missions, very similar to these. They will also learn about payload integration and how to plan and efficiently carry out a balloon launch. 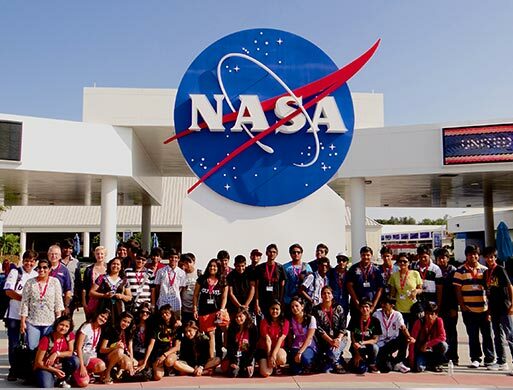 The group will work on independent teams with students assigned to different positions similar to those used by NASA, including Flight Director, Safety Officer, Payload Integration, Launch Operations, and Meteorology. Instructors will train students to perform their tasks and then assist in operations as the students take lead. Emphasis is on communication amongst teams and to follow their roles to achieve a successful launch and recovery. 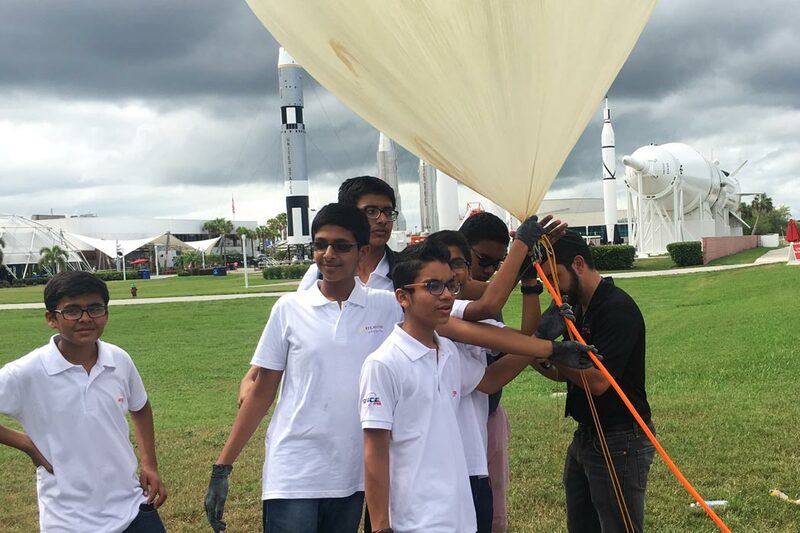 Outside of their roles, teams will also experiment with Arduinos and different sensors to get a better understanding of how the flight computer works. 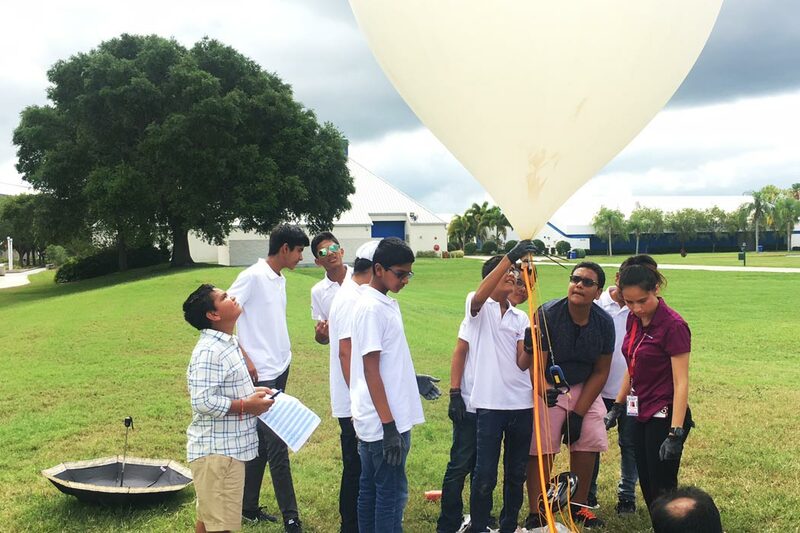 Students will develop a payload to be sent on the weather balloon conducting experiments and gather results as it ascends and descends through the atmosphere. During the flight, a camera will capture images and transmit back to the ground station, enabling the group to see views of Earth from the upper atmosphere. They will also learn how to test equipment, use checklists, and prepare all the components for the final launch. The main piece of equipment is our flight computer, which has the capability to record variables such as humidity, pressure, temperature, velocity, and altitude. 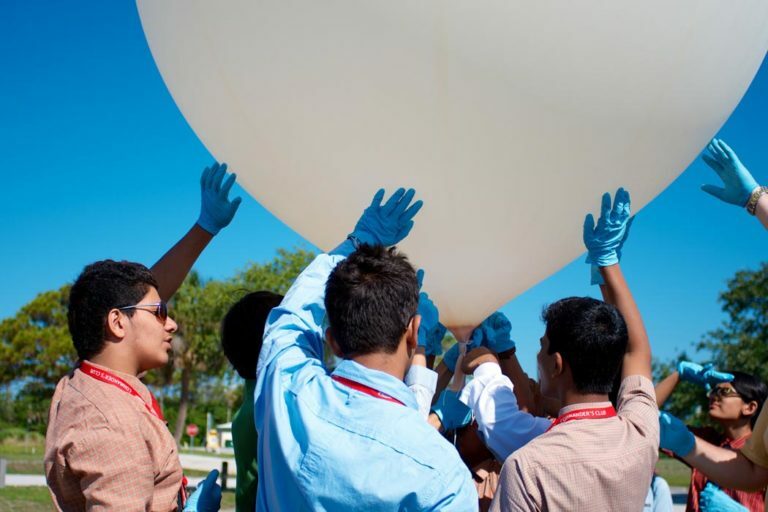 As the balloon travels through the atmosphere, the flight data will be constantly transmitted to our facility at KSCVC where students can also watch a live feed on a map of the balloon flight. Alongside this data students can correlate the behavior of their experiment to draw possible conclusions. Students will then have a chance to gather what they have learned in each of their positions and present. Finally as a whole they should be able to present the data acquired and propose possible conclusions. The placement of KSCVC activities depends on group size. Regardless, all students will see and do all of the events but the timings might change. This schedule only works if groups show up on time every day. Although we do not want to, we may have to remove activities from the schedule to keep the program on track if the group is late. Times of events and availability are always subject to change without notice.